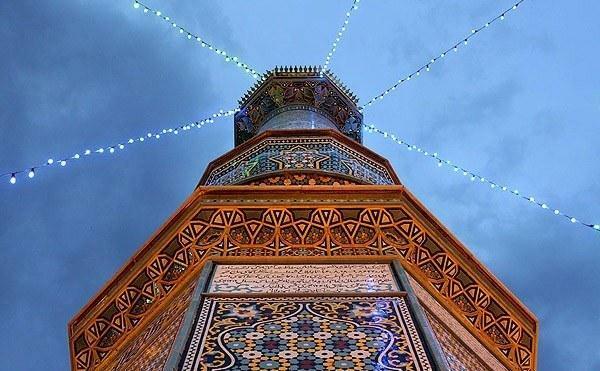 The shrine of Fatema Mæ'sume (sister of Imām ʻAlī ibn-Mūsā Riđā) is located in Qom which is considered by Shia Muslims to be the second most sacred city in Iran after Mashhad. 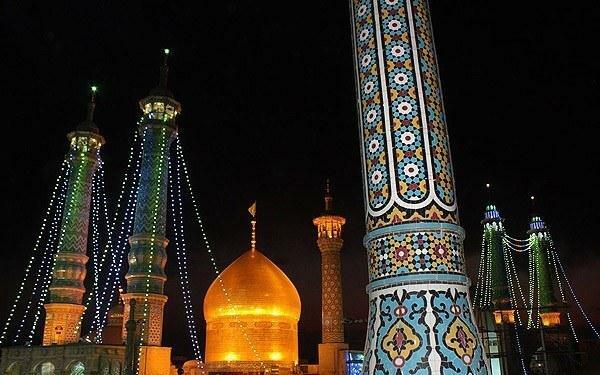 Much of the shrine complex was first built by Shah Abbas I in the early 17th century. The shrine has attracted to itself dozens of seminaries and religious schools. The shrine is also depicted on the reverse of the Iranian 50 rials coin, issued since 2004. 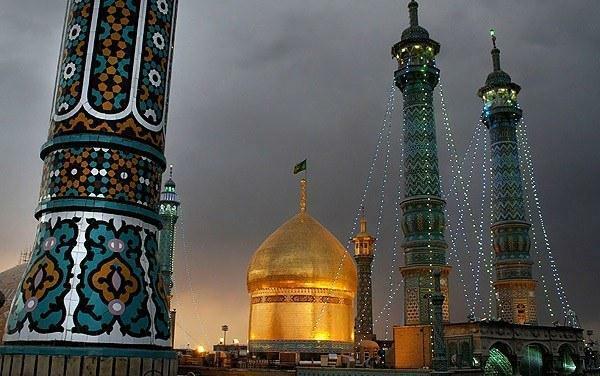 Also buried within the shrine are three daughters of ninth, Twelver Shī‘ah Imām, Muhammad at-Taqī. The mosque consists of a burial chamber, three courtyards and three large prayer halls, totaling an area of 38,000 m2 (410,000 sq ft). The three prayer halls are named: Tabātabā'ī, Bālā Sar, and A‘dham. 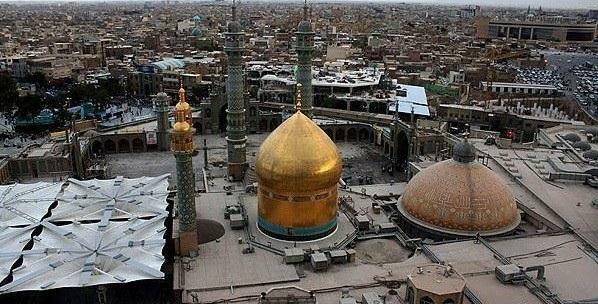 After dying from an illness while en route to visiting her brother, Fātimah al-Ma'sūmah was buried in Qum in 816. 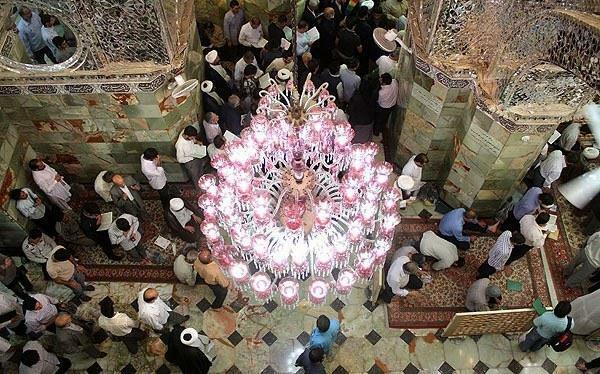 The cemetery she was buried in was made open to the public by Musa ibn Kharaj, the dignitary of Qom at the time. The site became a popular place for pilgrimage during the 9th and 10th centuries, and continued ...see more as such during the Timurid and Ak Koyunlu periods. This task was carried out by his daughter Shah Bigum. In 1523 his wife Tajlu Khanum donated her own adjacent property, adding it mortmain as an expansion to the shrine. 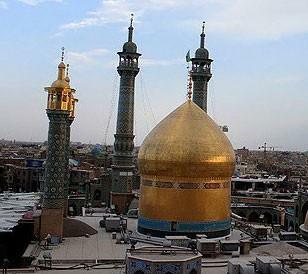 Thereafter, Shāh Tahmāsp I completed the burial chamber, and did work on the courtyard to the south of the grave. Further expansions were done to the shrine during the 17th century by Shah ‘Abbās I, along with the addition of schooling and other facilities. 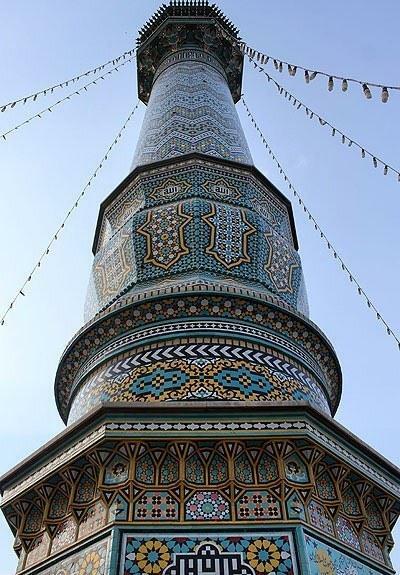 Part of a series on Shia Islam Twelvers During the 19th century, Fat'h ‘Alī Shāh Qājār carried out restorations to the shrine, gilded the dome in gold, and had it further embellished. 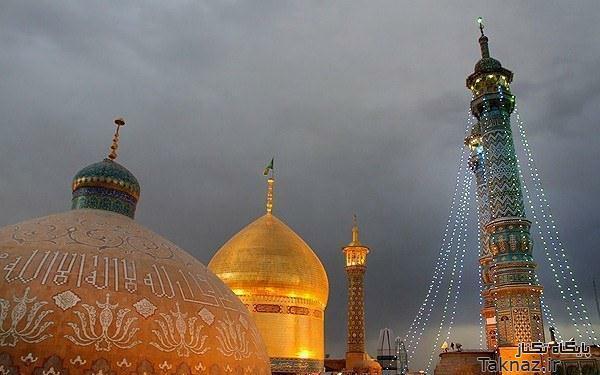 Repair work to the golden dome, which had remained untouched for 200 years, was initiated in the year 2000 by Grand Ayatullah Muhammad Taqi Bahjat.